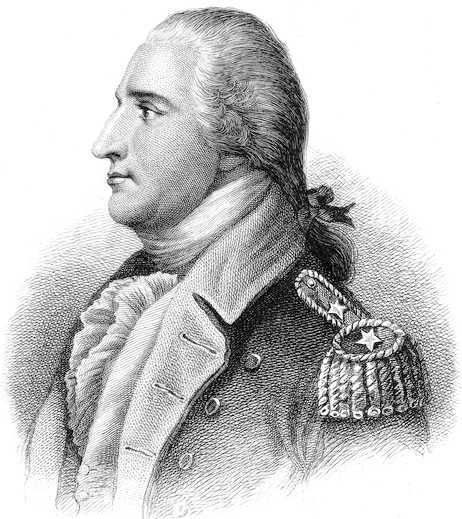 Benedict Arnold was born in Norwich, Connecticut on January 14, 1741. At the outbreak of the Revolutionary War, Arnold joined the American army. While enlisted in the continental army Arnold led a pivoting American victory in the Battle at Saratoga, New York. This battle was not only beneficial because of its outcome, but also because it was the battle that proved to France that America was a cause worth supporting. Although winning this historical battle led to our victory against the British empire, Arnold did not receive a lot of credit for his victory. To top it all off some lower ranking officials were chosen to be promoted rather than him after the battle (1). With this dissatisfaction of not being promoted and lack of credit, Arnold shifted his loyalties to the British. Arnold became known as one of America's biggest traitors. After his decision to switch his loyalties, Benedict Arnold concocted a plan to help give the British an advantage. Arnold, under the continental army, was in charge at the continental fort, West Point (3). West Point was located on the Hudson River in New York. Arnold decided to wait to reveal his switching of loyalties to the continental army. Arnold secretly contacted the British New York General Henry Clinton (4). In these correspondences, Arnold was arranging to hand over all of West Point and its men to the British army (5). To solidify his loyalty, Arnold was to meet with British Major John Andre to create a contract and receive his monetary reward (6). The New York City spy group, The Culper Ring, uncovered the "treasonous correspondence" between Benedict Arnold and British Major John Andre (8). As a result of their discovery, Andre and Arnold were ambushed at their meeting place (9). Andre was caught and killed while Arnold fled to the safety of the British lines (10). Without the Culper Ring's discovery of Arnold, the British would have taken the crucial American fort, West Point, and had a large advantage against the continental army. 1. History.com Staff, "Benedict Arnold," A&E Networks ( Accessed April 28, 2016), http://www.history.com/. 3. History.com Staff. "Benedict Arnold." 7. "Sketch of West Point." Map. 1783. Library of Congress, Washington, DC. 8. A&E Television Network, LCC, "The Culper Spy Ring." 9. History.com Staff. "Benedict Arnold."